Azerbaijan’s wind farms produced 14.1 million kilowatt hours of electricity in January-July 2018, which is 63.9 percent more than in the same period of last year, while solar power plants generated 23.4 million kilowatt hours of electricity, a report of the State Statistics Committee said, Trend reported. The country’s wind energy potential is 350 megawatts, 50 megawatts account for solar energy, and during the next few years it will be possible to reach the level of 20 megawatts in bioenergy, according to the State Agency for Alternative and Renewable Energy Sources. Azerbaijan’s power plants generated 13.5 billion kilowatt hours of electricity in January-July 2018, thus showing an increase of 2.6 percent compared to the same period of 2017, according to the report. As many as 12.99 billion kilowatt hours of the total electricity generated in the reporting period accounted for commercial electricity, which is 3.1 percent more than in January-July 2017. Thermal power plants generated 11.77 billion kilowatt hours of total commercial electricity in January-July 2018 that is 3.5 percent more than in the corresponding period of 2017. Azerbaijan’s hydro power plants generated 1.18 billion kilowatt hours of commercial electricity in January-July 2018, or 1.5 percent less compared to the same indicator of 2017. Azerenerji OJSC is the main electricity producer in Azerbaijan. The company owns hundreds of substations and dozens of power stations. The electricity generation capacity of Azerbaijan is 7,172.6 megawatts, which makes it possible to annually generate about 24 billion kilowatt hours of electricity. This allows Azerbaijan to annually export 2.1 billion kilowatt hours of electricity. 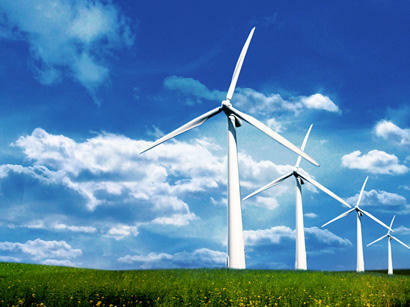 Today, the share of alternative energy sources in the electricity supply of Azerbaijan is 9.5 percent. In recent years, the development of renewable energy sources in Azerbaijan, the largest South Caucasus state on the Caspian shore, has been in the focus of attention. Currently, the country is able to fully meet its own energy needs, and seeks to supply power to the European market. Azerbaijan was able to build a strong power system in less than 20 years, conducting reconstruction and renovation of old generating capacities and creating new ones. The energy rich country generates power through hydroelectric, wind and solar power plants, as well as biogas installations. At the moment, the capacity of Azerbaijan’s electricity system exceeds 12,000 megawatt. The total potential of renewable energy sources exceeds 25,300 megawatt. A major part of the country’s capacity in this area accounts for solar energy, while its potential is estimated at 5,000 megawatts. Some 4,500 megawatts accounts for wind power, 1,500 megawatts -- for biomass, 800 megawatts -- for geothermal energy, and the remaining 350 megawatts -- for the small hydro power plants (HPP). The State Agency on Alternative and Renewable Energy Sources of Azerbaijan has determined areas, capacities, amounts to be invested in producing 4,200 megawatts in 2018-2020 and other required information. In the coming years, the agency plans to implement 23 projects worth about 13 million manats as part of the Strategic Roadmap for the Development of Public Utilities (Electric and Thermal Energy, Water and Gas). The projects include construction of wind, hydro and biofuel power plants with a total capacity of 4,200 megawatts. This is while 3,500 megawatts will account for wind power plants, 500 megawatts for solar power plants, and 200 megawatts will account for biofuel power plants. The cost of building wind power plants will be 10.2 million manats, solar - 1.48 million manats, and biofuel - 1.16 million manats.